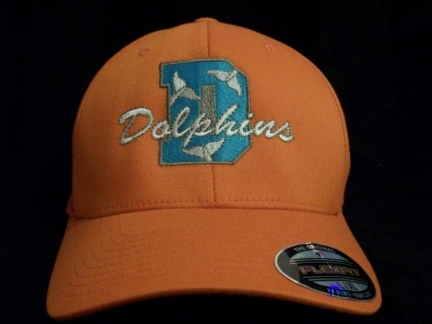 This Dolphins FlexFit cap comes is sm-md and lg-xl for a neat, fitted look! A great way to support your favorite team! This would look awesome with you favorite player's name & number or your favorite cheerleader's name added----no extra charge! Please inquire about other Teams.